Giles County, VA- (November 1, 2017) – Data released by the United States Travel Association (USTA) reveals that all regions in Virginia posted an increase in tourism revenue last year. According to the US Travel Association, tourism in Virginia generated $24 billion in travel spending. Tourism also supported 230,000 jobs in the Commonwealth and $1.7 billion in state and local taxes. The increase is largely attributed to Virginia’s tourism development all around the state, including: outdoor recreation, new hotels, restaurants, agritourism, craft breweries, wineries, distilleries, cideries, festivals and events, music venues, wedding venues, meeting and convention venues, attractions and so much more. Virginia’s changing tourism product makes the Commonwealth a destination for authentic travel experiences and thriving communities. Tourism was again an important contributor to the local economy in 2016. Tourism revenue for Giles County reached $ 26,540,667 a nearly two percent change over 2015. Local tourism-supported jobs totaled over 244 while local tourism-related taxes were $ 828,766. All data was received by the Virginia Tourism Corporation (VTC) from US Travel Association and is based on domestic visitor spending (travelers from within the United States) from trips taken 50 miles or more away from home. Plan your next vacation in Virginia. 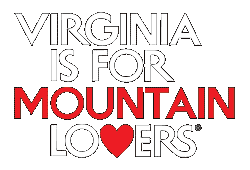 Visit https://www.virginia.org/ to discover why Virginia is for Lovers.